This facility enables us to mass-produce native seed for ecological restoration work in Western Sydney’s Cumberland Plain. We’re now able to produce larger quantities of native species than has ever been possible before. Minister Speakman joined Greening Australia Lead Scientist, Dr Paul Gibson-Roy on a walking tour. From there the group travelled to a Greening Australia grassland restoration demonstration site at Western Sydney Parkland which had been restored using seed from the SPA. “Arguably the most pressing issue facing efforts to restore species-rich Cumberland Plain communities is the critically limited availability of native seed for restoration work”. Over the last 200 years land clearance has created small, fragmented pockets of bushland that can barely support themselves let alone provide the quantity of seed required to restore all the parts of Sydney identified through infrastructure and biodiversity offsetting projects. So going to a seed production model is our most obvious choice. “In essence: without seed production, there’s no seed. Without seed, there’s no restoration. 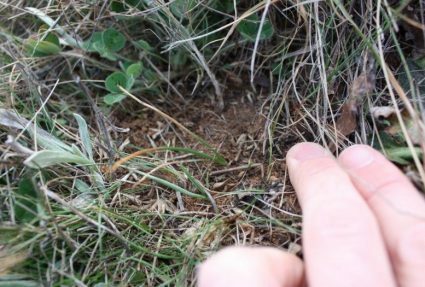 This means the native bushland of the Cumberland Plain and all the animals that call it home are likely to continue to slowly disappear.” Dr Gibson-Roy said. 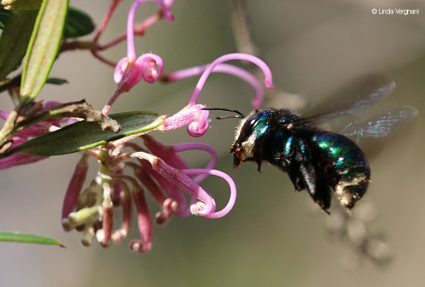 With some relatively simple but innovative techniques utilizing horticultural and agricultural approaches, native plants are grown as seed crops. Using agronomic principles ensures the plants are robust and healthy and produce large amounts of seed for harvest. It also means that weed competition is minimal. Together these techniques allow as to produce more native plant seed than would ever be possible collecting from the wild. 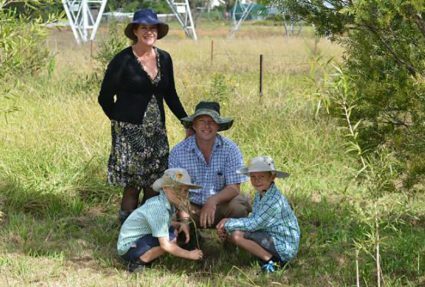 “It’s been scientifically documented that the restoration techniques we are beginning to roll out across Western Sydney can restore grassland ecosystems with as much or even higher diversity of both flora and fauna than many remnant grasslands in the wild. All we need is the seed and the determination and we can make a huge difference to our richness of our landscapes” Dr Gibson-Roy said. Greening Australia would like to note the following companies, organisations and institutions who will have partnered with us in the start-up phase of this seed production area for Sydney. Greater Sydney Local Land Services. Learn more about our work on seed resources for restoration here.